Wait time in airports is very common scenario nowadays especially if you have a connecting flight. Ample amount of time is available which tempts us to get some work done by connecting to the airport WiFi. Every airport provides a free WiFi service to its customers who are waiting. A few years ago, it would have been a wrong move but now thanks to https, fake WiFi nodes are not present as they used to be. Still it is recommended to use WiFi only to finish low security work. Even after connecting to a public WiFi it is often recommended to work in offline mode on local files. Read our post on Does Public Trust The Internet? to know public’s opinion on Internet. Hackers set up WiFi router of their own with sophisticated name related to airport. When you connect to that router your data can be easily accessible by the hackers. 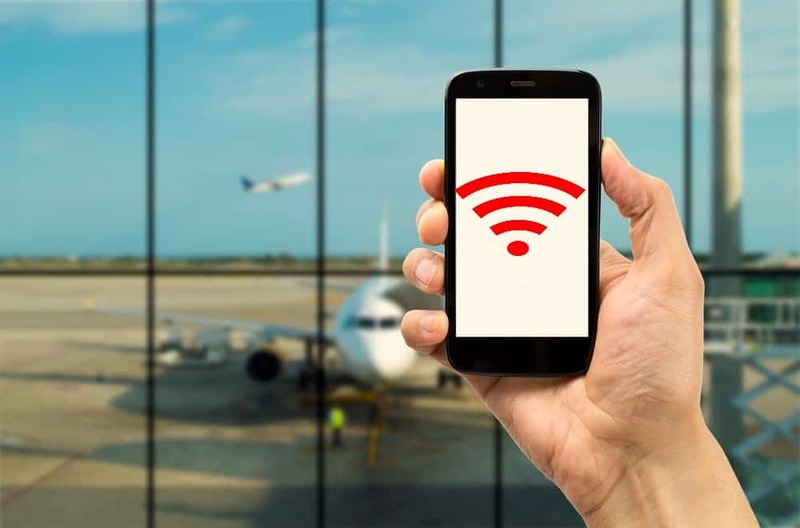 Hackers can connect to the open WiFi network at airport and can steal unencrypted data like your usernames and passwords while connected on that network. Interception can be done by hackers due to lack of encryption in public WiFis. If airport network require email address to get connected to keep a throwaway email address for such scenarios. Always connect to websites using https else do not connect. Never let your phone connect automatically to public networks that are open. Check if you are connecting to the right network and if you are not able to determine ask the help desk for confirmation. If your layover time is very long, stay in the club room and access the wireless network present there, which often are more secure as compared to public WiFi. Turning on your phone’s hotspot is not a bad idea either. Moreover if you are a frequent traveller get a Boingo subscription, which although costs some money keeps you secure. Disable your laptop’s sharing options which can transfer your data without your knowledge. Also disable connected devices like Bluetooth headphones. Keep your OS and antivirus up to date to avoid malware from injecting into your system. Most importantly never ever perform online financial transactions on a public WiFi. Use mobile network or wait till you reach home. Get a VPN and it will take care of everything. The best way to protect yourself on an airport WiFi is by subscribing to a VPN. Join the WiFi network and activate the VPN. Some employers also recommend their employees to use a VPN while travelling. VPN protects your identity and encrypts your online traffic thereby reducing hackers and snoops. With VPN alongside you can freely surf the web and perform transaction even on public WiFi. Check our article on Things you don’t know a VPN could do and get to know VPN’s importance. – the best VPN provider for user anonymity and privacy. We provide ultra fast and ultra secure VPN service and we are also constantly optimising our network to achieve maximum speeds and no limit on bandwidth. VPNShazam keeps your online presence private and restricts your ISP from spying on you. A global footprint with 24×7*365 customer support we are always there at your service. 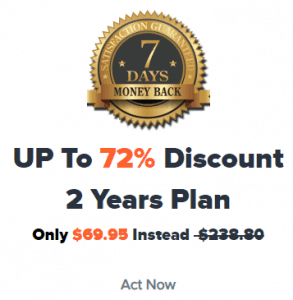 Get unlimited data transfers and unlimited server switches at an amazing discount of 80% with 7 days money back if not satisfied. Hurry before the offer ends. Click here and subscribe to VPNShazam now.